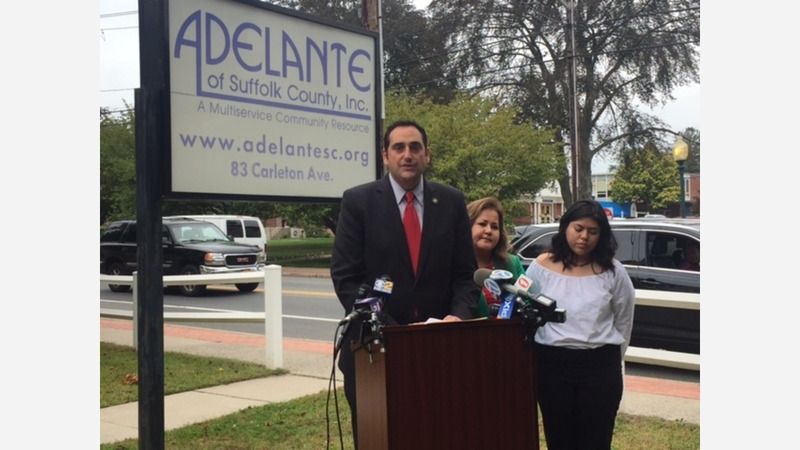 SUFFOLK COUNTY, Long Island (WABC) -- Leaders from Adelante of Suffolk County announced Thursday they will be accepting donations for the people of Mexico City after Tuesday's devastating earthquake. The 7.1 magnitude earthquake is responsible for killing more than 230 people. Many are feared still buried in the rubble. Donations needed include any first-aid items, medical tape, medical gloves, construction helmets and gloves, toothpaste, toothbrushes, blankets, pillows, non-perishable food, diapers, formula and shipping boxes. They are hoping to have all donations collected by Monday or Tuesday so they can be delivered to Mexico as soon as possible. Donations can be dropped off at Flanders Ambulance Company, Little Mexico Restaurant in Centereach, the C-Town Supermarket in Amityville, St. Rosalie Church in Hampton Bays and Adelante's office located at 83 Carleton Avenue in Central Islip. Adelante is also looking for volunteers to help collect and organize supplies at the designated locations. If you would like to volunteer call 631-234-1049.